It is this historic Clubhouse constructed entirely of reinforced concrete and clay tile in the early 1920’s which holds special memories of friends, family, social and golf events, and holidays. Olympia Fields Country Club was founded in 1915. 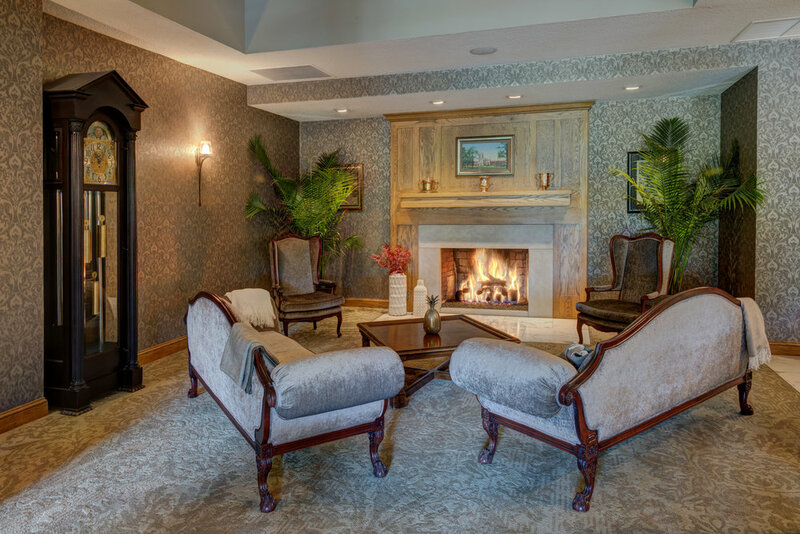 As the original architect, George C. Nimmons, had presented his “Greater Olympia Plan” for a new English Tudor inspired Clubhouse (one of the largest clubhouses in the United States serving four 18-Hole golf courses), we too respectfully designed a new, traditionally-inspired hospitality area for couples, fellowship, retreat, social events, and fine dining. 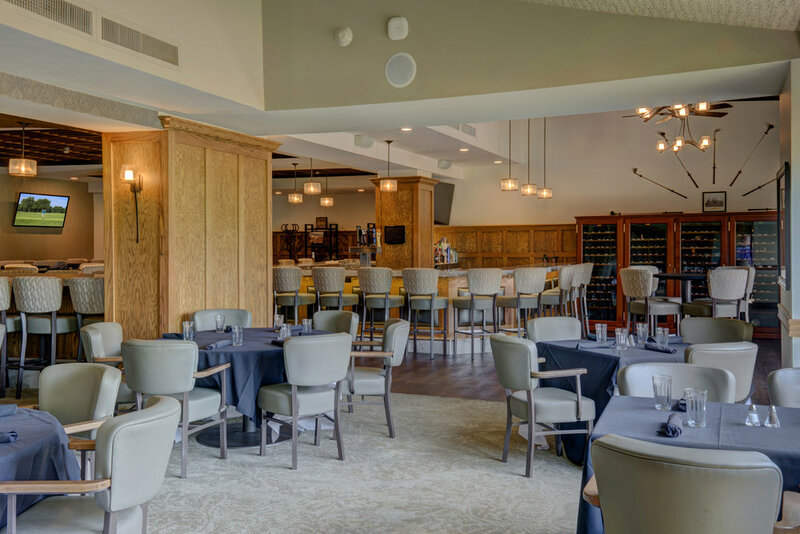 The new 4,000 Square Foot “1915 Club” Lounge and Restaurant is designed with a focal bar, communal and counter seating, and multiple televisions and audio systems with the capabilities for live music and dancing. The Club’s Lounge provides direct access to the newly remodeled patio dining, bar, and pergolas. The dining room offers a private space / party room / business conference room and also a refurbished fireplace and lounge gathering with soft seating, new waitress station, and a new host / reception area. 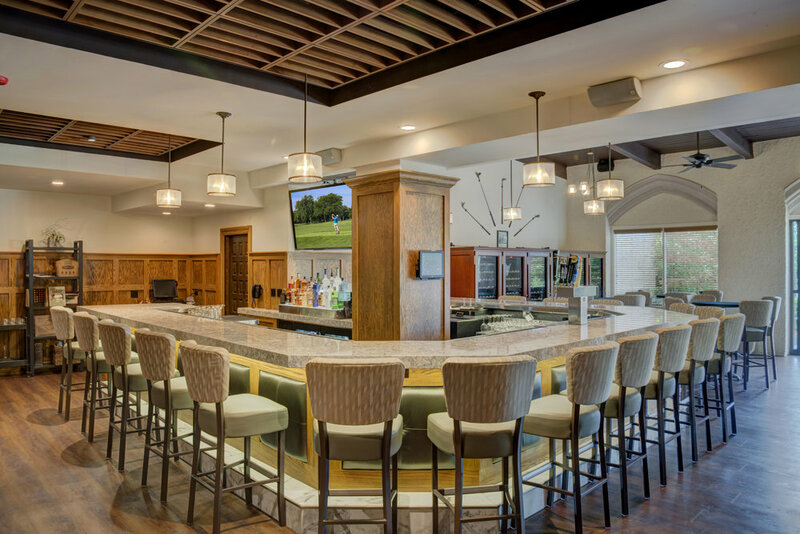 The space’s design provides warm timeless finishes, updated lighting / technology, expanded open ceilings, and thoughtful display of treasured Olympia Fields Country Club memorabilia which enables the venue’s traditions to flourish for future generations.